When it comes to company culture, you’ve got to get your foundation in place first. In recent years, employee perks have pulled focus from more fundamental aspects of organizational culture, such as a group benefits plan. 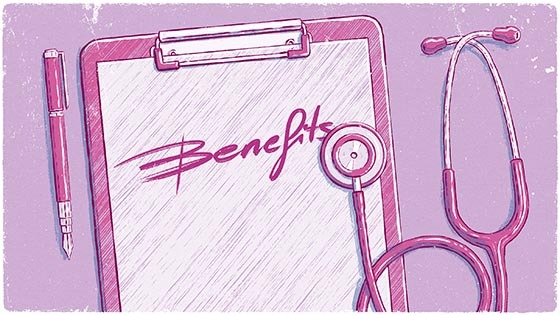 To celebrate National Employee Benefits Day on April 2nd, we’re discussing what’s really important—how to best communicate your health benefits coverage to your team. Educating people on their health plans can only serve to drive up business costs. By contrast, keeping quiet would seem to have a definite financial upside. Quite simply, putting profits before people is a short-sighted approach. Failure to properly communicate the details of your group benefits coverage might present some immediate cost-savings, but in the long run, doing so will eventually lead to significant problems with productivity, talent acquisition, and employee retention. “Give employees the benefits they value and they’ll be more satisfied, miss fewer workdays, be less likely to quit, and have a higher commitment to meeting the company’s goals,” says Joe Lineberry, an HR consultant. Communicating group benefits coverage effectively, then, is almost as important as choosing the right plan. In the spirit of furthering the educative efforts of people and culture pros, we’ve compiled seven ways to keep your team members in the loop, ensuring they stay healthy, satisfied, and committed to your company. If you present employees with a variety of options or questions, they are more likely to perform some independent research. You might even see team members sharing their perspective in the lunchroom, or explaining how the claims process works to newer colleagues. 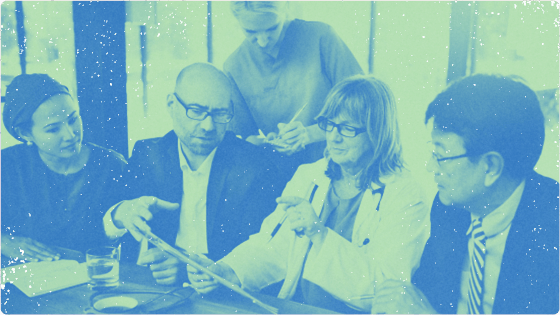 In short, asking for employee input will encourage team members to share their knowledge and inform those around them, thereby ensuring your people reap the benefits of many perspectives. One note of caution: avoid making promises you can’t keep. Ensure that your team knows poll results will guide the decision-making process, but not replace it entirely. This isn’t a majority rules situation. Instead, the feedback will help you and your consultant design a plan that makes sense for the team and company. If you’re working with an inherited plan, or if a poll is impractical for your workplace, don’t despair. One of the easiest (and most effective) ways to help employees understand their group benefits plan is by defining all of those terms that, for most people and culture pros, are commonplace. Remember that talking group benefits can sound like Greek to a lot of your people. If they don’t understand the language, even the most detailed information package isn’t going to do much good. Start with a handout that defines terms like “beneficiary,” “deductible,” or “premium.” They might seem basic to you, but you want to ensure every team member has a solid footing before going any further. Then you can pass around more in-depth information about the particulars of the plan. Make information about group benefits available in a variety of formats. Yes, send out an email—but also post a bulleted list on the notice board, or share a PowerPoint presentation with lots of charts and graphs. If you use Slack or another instant messaging system at work, set up a channel or chat room specifically for #benefits queries. People can ask things that apply to everyone (like “how do I submit a claim?”). Bonus: it’s not on you alone to field these questions. Other team members can chime in with answers they’re confident about. Just make sure to monitor the discussion—you don’t want misinformation flying around. Try to schedule several different group information sessions and let team members choose which one they’ll come to. If you’re taking people away from their work in the middle of a major project, the presentation won’t receive their full attention. By the same token, individuals are more alert at different times of the day, so let them choose a session when they’ll be able to take in and retain the most detail. In a common situation, employees pose just a of couple of questions during the group information session, and then crowd around the HR representative afterwards, looking for answers to their specific queries. People don’t want to get too personal in front of the entire company, which is why group Q&A periods aren’t always the most effective way to communicate group benefits. Some team members won’t want to ask if fertility drugs are covered under a new plan. Others might be hesitant to request info about available counselling services. You probably don’t have time to schedule one-on-ones with every team member. That’s why you need to pick a benefits consultant who is as invested in communicating coverage to the team as you are. They can hold those one-on-ones for you. Want team members to know how much you’re investing in their plan? Nothing is more powerful than a side-by-side breakdown. Show what they get and at what cost to the business. That way, your people will get a complete picture of their compensation package. “Most employees don’t appreciate their benefits, but that’s because nobody ever tells them what the costs are,” explains Ray Silverstein of the President’s Resource Organization. Make sure to remedy that oversight asap. You shouldn’t see your benefits consultant just once a year. In the same way, team members deserve more than just an annual rundown of their plan. While National Employee Benefits Day presents a great opportunity to talk coverage, you want to make sure this conversation happens throughout the year. That way, you can always keep benefits (and the company’s investment in its people) top of mind. Schedule quarterly meetings to review any questions that came up in the previous months. To go above and beyond? Talk benefits during the interview and onboarding process, at team member check-ins, or when one of your people is going through a major life event, like getting married or buying a house. Communicating group benefits effectively is a big job, no doubt. But it’s not something you should be doing alone. Use the above strategies to empower other team members to field less technical group benefits questions, and remember that your consultant should be doing most of the work. If they’re not providing you with ample communications materials, hosting group information sessions, or offering one-on-ones to employees, they’re not doing their job—and that means you won’t have the time to do yours. Flex plans allow employees to select the benefits most useful to them. Read on for more insights on the advantages of flexible benefits plans. To help you navigate the employee health benefits space, we’ve put together a list of the top four things to consider when choosing a plan.